Forevermark, the diamond brand from the De Beers Group of companies has partnered with Kundan Jewellers- one of the renowned jewellery house in Mumbai, known for its traditional haute couture as their retail partner. Actor Suhasi Dhami unveiled Forevermark Encordia collection at the Kundan store in Mumbai today. Also present on the occasion were Sachin Jain, Managing Director, Forevermark, India along with Nitin Punamiya, Director, Kundan Jewellers. 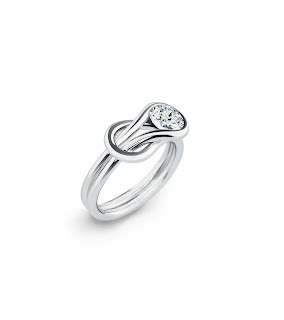 On this special occasion, Forevermark unveiled their latest Encordia collection. Comprised of exquisite jewellery pieces, The Forevermark Encordia™ Collection is designed to symbolize the unique and emotional bond between two people. It is available in a range of exquisite contemporary designs including rings, bracelets, pendants and earrings. Kundan Jewellers and Forevermark share a mutual passion for diamonds and are inspired by their beauty. Through this association, Forevermark and Kundan Jewellers will extend stunning contemporary and traditional designs to their discerning clientele. Exquisitely designed jewellery pieces with Forevermark diamonds are sure to delight senses of ever woman. Forevermark only partners with authorised Forevermark jewellers such as Kundan Jewellers, who are selected not only as leaders in their field, but also as those who meet the brands particularly stringent requirements of business, social and environmental integrity. To ensure the Forevermark supply chain is deemed responsible at every stage and Forevermark’s Pipeline Integrity is maintained, each Forevermark partner like Kundan is required to conform to the Forevermark Integrity Requirements, and is inspected by the world’s leading independent auditor, Société Générale de Surveillance (SGS). Forevermark diamonds are the world’s most carefully selected diamonds. Each Forevermark diamond bears a unique inscription at its heart. This inscription is a promise that the diamond has been carefully selected to meet Forevermark’s standards of quality and integrity. Less than one percent of the world’s diamonds are eligible to become a Forevermark diamond. First piloted in Hong Kong in 2004, Forevermark offered consumers a new promise in diamonds. A promise that went beyond the traditional 4Cs to include rigid quality and integrity standards. Following this successful pilot, The De Beers Group proudly launched Forevermark in 2008 as a wholly-owned subsidiary, developed leveraging over 120 years of diamond expertise. This 2008 launch focused on Asia, establishing Forevermark’s first markets in Hong Kong, China and Japan. 2012 saw the brand introduced to Authorised Forevermark Jewellers in the U.S.A. and India. In addition, Forevermark diamonds were, and continue to be distributed through a Special Licence Programme in Singapore, the Caribbean and Mexico, Malaysia, South Africa and the U.A.E. Today, Forevermark’s distribution exceeds 700 doors worldwide and continues to grow with the addition of new licensee markets and the expansion across existing core markets. Using highly advanced, proprietary technology, developed by the De Beers Group, each Forevermark diamond is inscribed with an icon and individual number as proof of the promise that it has met Forevermark’s standards of beauty, rarity and responsibility. The Forevermark inscription is placed on the table facet of a Forevermark diamond and is invisible to the naked eye. The miniscule inscription found on Forevermark diamonds is only 1/20th of a micron deep (one 5000th of a human hair), and can be seen using a special Forevermark viewer found in only Authorised Forevermark Jewellers. The Forevermark Design and Innovation Centre based in Milan is a centre of excellence that uses market insight and jewellery expertise to develop exclusive jewellery designs with Forevermark diamonds at their core. Its main function is to provide Forevermark Diamantaires and Jewellers with inspirational designs which showcase a Forevermark diamond’s true beauty and brilliance. 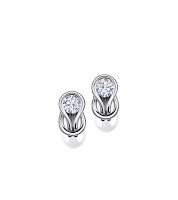 The designs reflect market trends and provide Forevermark partners with further means to stimulate consumer demand. The brand’s timeless signature setting that allows in the maximum amount of light bringing to life each Forevermark diamond mounted in this fashion. It has a unique four-pronged mount and secret piercing, inspired by the shape of the Forevermark icon – a reminder of the promise of beauty, rarity and responsible sourcing at the heart of every Forevermark diamond. Alongside the classic solitaire ring, the Forevermark Setting™ is also available in stunning stud earrings, wedding and trilogy rings as well as beautiful pendants. Started by visionary Kundnmalji Punamiya, Kundan Jewellers began their humble journey in 1938. Today the third generation of the family is setting new benchmarks with their vision, bedazzling designs and exemplary craftsmanship. With the sheer dedication of Late Shri Suresh Punamiya and Nitin Punamiya, Kundan Jewellers launched their third retail store in 2011. Kundan’s goodwill has grown stronger each day because of their personal interaction with clients, transparent business policy, stringent quality norms and amazing craftsmanship. Kundan Jewellers has leading brands like FOREVERMARK, ORO Platinum, Kama Love Bands and Ishtaa to cater to the design needs of their clientele. Forevermark is a trading name of De Beer s UK Limited.